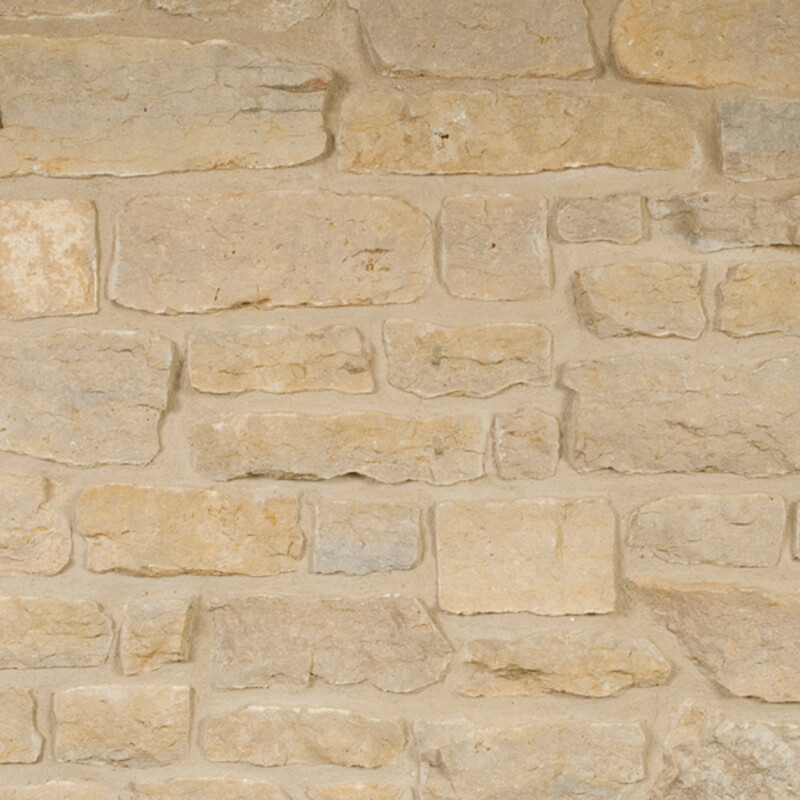 Mill Creek Siena consists of stone with varying honey color tones and is in Buechel Stone's Fieldledge product line. Fieldledge highlights the historical significance of stone from a time when masonry served as a structural building product. Fieldledge applications were preferred where layered stone would be used hidden in foundations, under stucco, or behind a surface faced with dressed stone. Over time, these walls showed themselves and revealed their permanence. Roughly shaped, the stones are not finished and have a rough texture and random appearance.